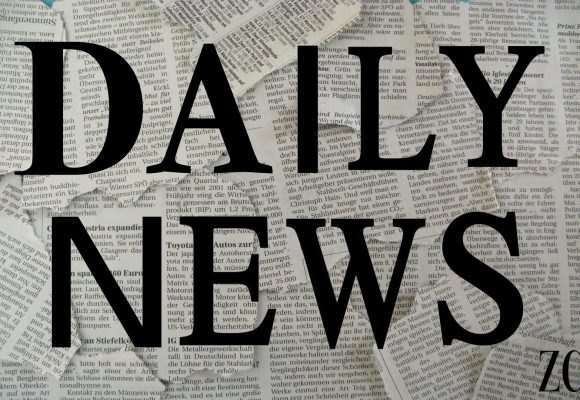 Following a partnership between Ripple and Forte, a startup focused on game development, as well as the listing of XRP as an exchange-traded product (ETP) by Six Swiss Stock Exchange, the weekly chart of the XRPUSD closed showing high buying pressure of the XRP. Come along as we walk you through a top-down analysis of the XRPUSD pair. 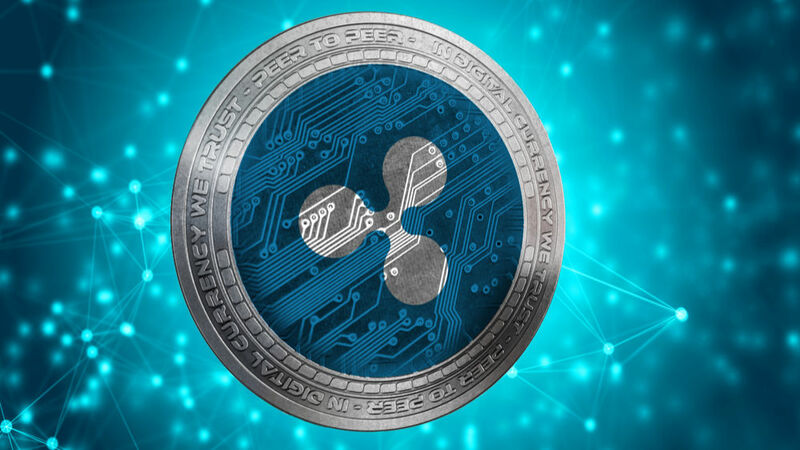 Ripple shows a few signs of strength right now, as Nasdaq may launch its Liquid Index Fund for Ripple. A strong bullish fakey pattern is triggered in September 2018 indicating bullish rejection following a breakdown of a bearish accumulation pattern on July ’18. The bullish signal established strong support at 0.24653, posing as the only attempt for a bullish rally on the monthly chart. 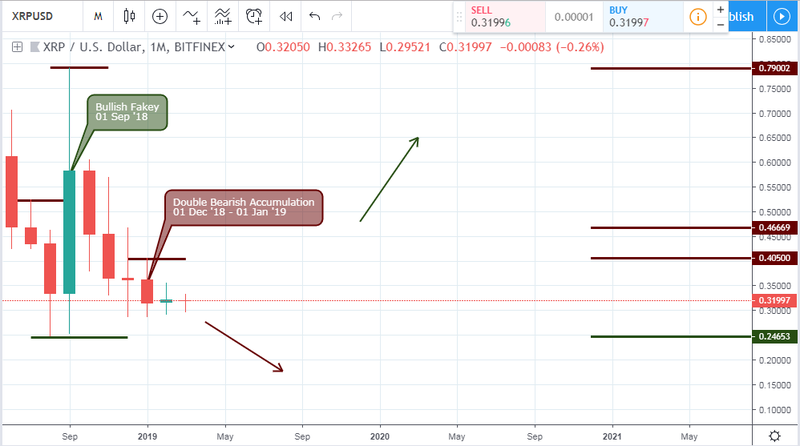 The more recent double bearish accumulation patterns on December ’18 and Jan ’19 emphasize the presence of bears in the market and further price decline. The bearish price drop formed as a result of the breakdown of bullish accumulation is slowly losing steam and a bottoming of the higher time frame is growing. 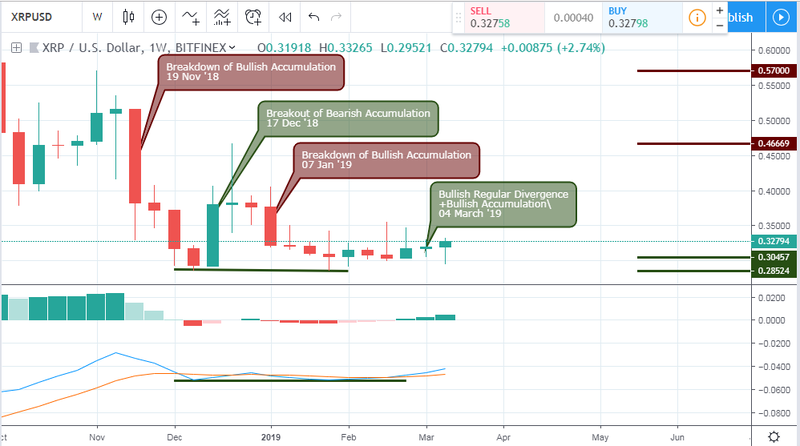 This bottoming of the bearish trend was first initiated by a breakout of bearish accumulation on 17 Dec ’18, followed by a more recent bullish regular divergence in combination with a bullish accumulation pattern. Critical support levels are established at 0.30457 and 0.28524. The above daily chart illustrates a 37.4% price increase following a breakout of bearish accumulation on December 17 ’18. A resistance level was set up at 0.40614, suggesting an end to the bullish trend. Lastly, a bullish accumulation pattern collapsed on December 26 and got price tumbling down by 26.38%. 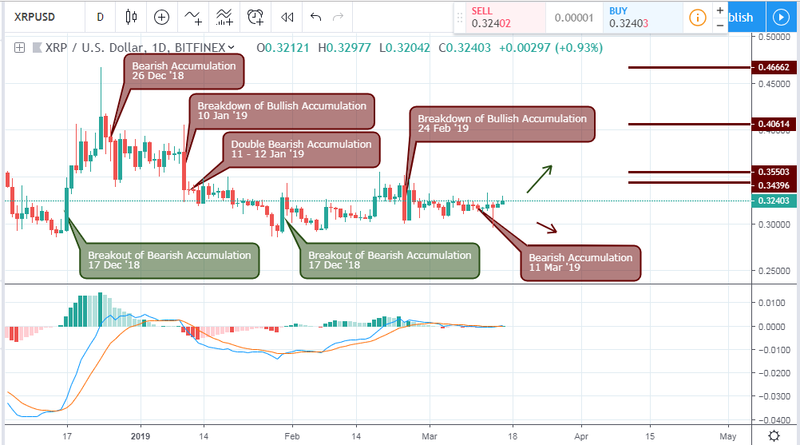 It was indeed a rollercoaster on the daily chart, as the bulls came out strong on January 30 ’19 with support at 0.28626 after a breakout of bearish accumulation. Swing trader will really profit from trading off of the 4hour signals as it starts by initiating a breakout of bullish accumulation on 01 March ’19 20:00. 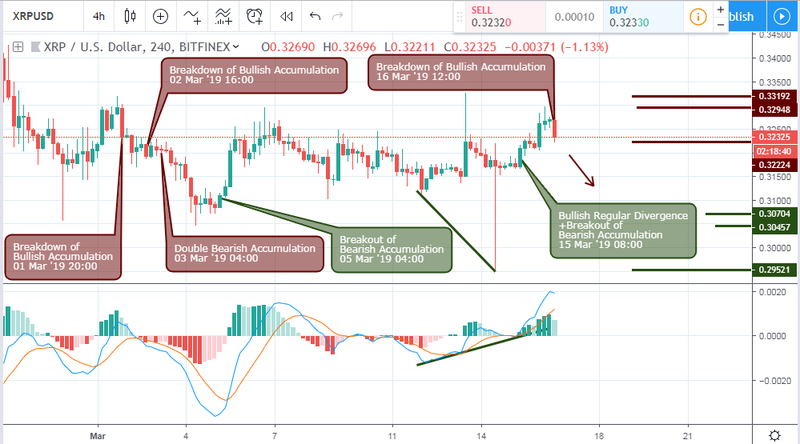 The second and third day of March also triggered bearish patterns in the form of a breakdown of bullish accumulation and double bearish accumulation on 03 March ’19 04:00. 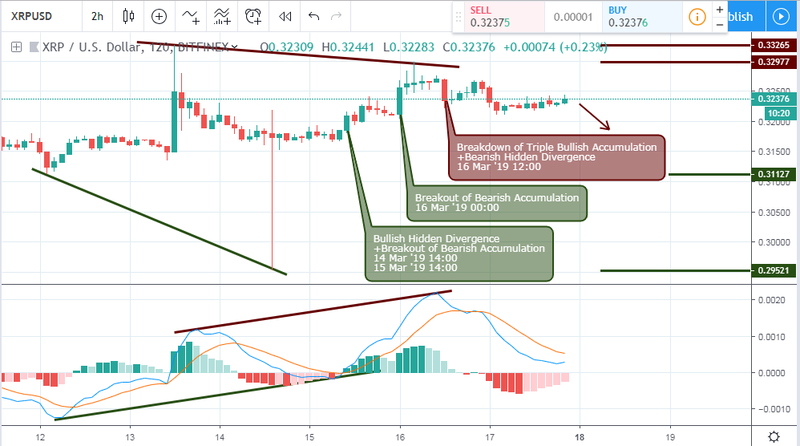 An opposite bullish swing was initiated by a breakout of bearish accumulation on 05 March ’19 04:00 as the XRP makes a 6.87% gain compared to a 2.2% risk. Moving ahead to 15 March ’19 08:00, the pair finally triggers a combination of bullish regular divergence and breakout of bearish accumulation, which was cut short by a breakdown of double bullish accumulation on 16 March ’19 12:00. Enclosed within an expanding channel, formed by opposing bullish and bearish divergence patterns on 15 March ’19 14:00 and 16 March ’19 12:00, is the 2hour chart of the XRPUSD. 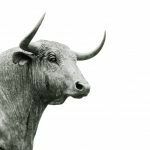 Prior to the bearish price decline, the bulls were seen piling up the pressure in the form of triple bullish accumulation, but could not stand the test of time. Critical resistance and support levels on the 2hour time frame are 0.33265, 0.32977, 0.31127, and 0.29521 respectively. 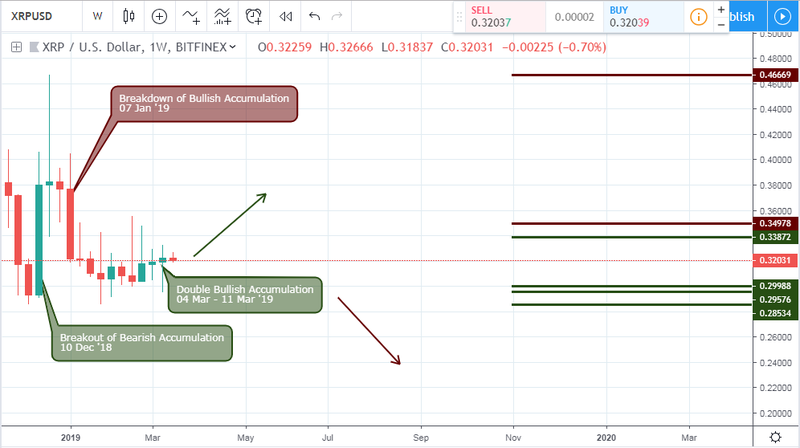 Considering the above analysis of the XRPUSD, we want to conclude that the pair is ready for a bullish campaign and we look forward to price heading towards the 0.6669 resistance level following a double bullish accumulation pattern formed on the weekly chart shown below. However, the bullish trend from a monthly time view will be confirmed upon a bullish price close above the monthly charts resistance of 0.46669. 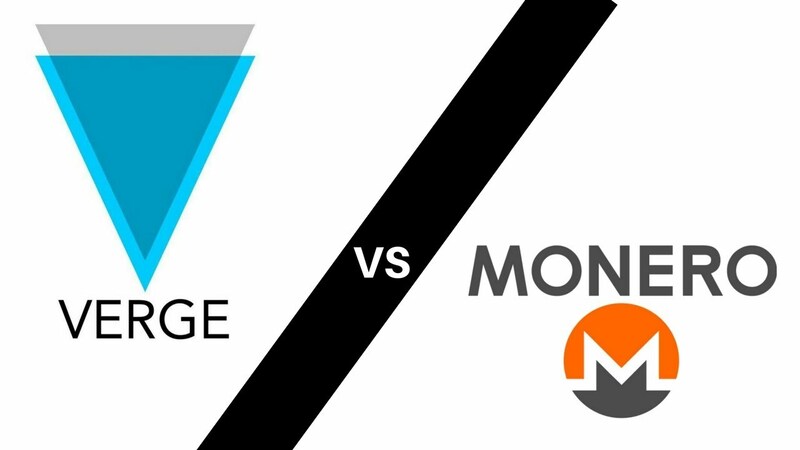 This article was provided by Cryptocointrade. Cryptocointrade is an informational source for crypto trading. 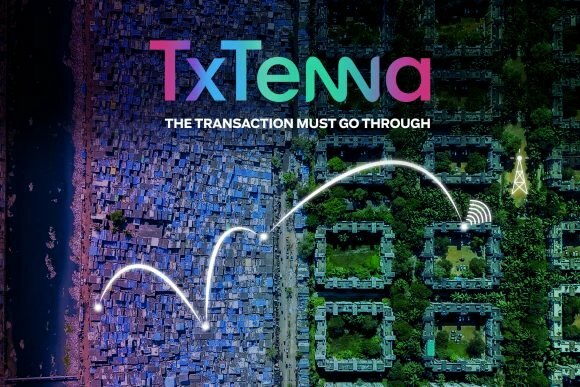 They publish crypto trading platform reviews, crypto trading bots’ comparisons and information regarding crypto trading education. 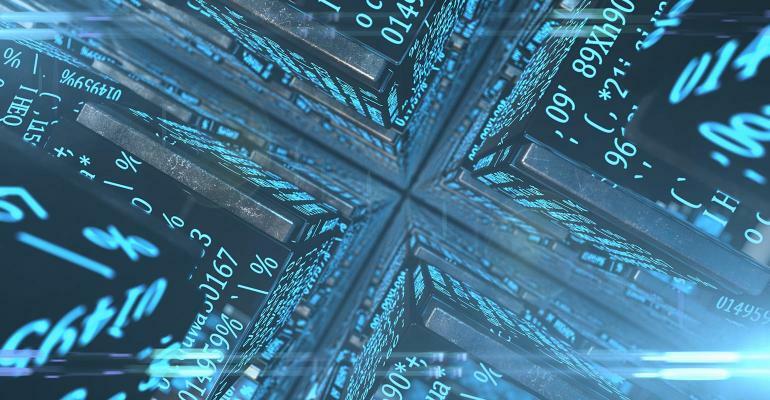 In addition, they have three different blogs, crypto technical analysis, crypto fundamental analysis and general trading blog. 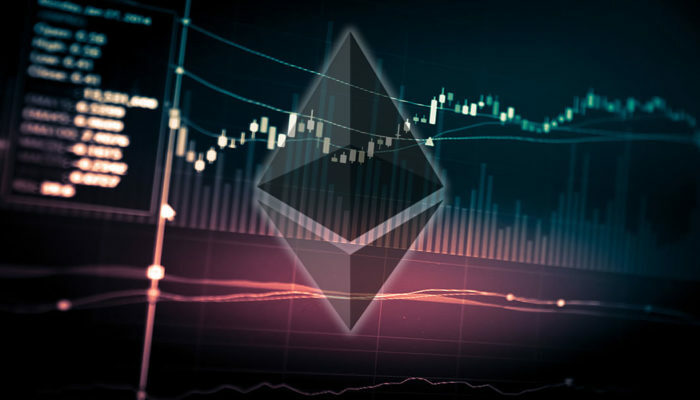 Both crypto trading beginners and more experienced crypto traders will find valuable information on Cryptocointrade.